Reminder: The Deadline for the 2019 Transportation Technology Tournament (TTT) is February 8th! The deadline for the TTT is nearly here. Sponsored by the ITS PCB Program and the National Operations Center of Excellence (NOCoE), the TTT provides student teams with an opportunity to work with both an academic and a professional advisor to devise a solution to a real-world ITS problem. Students must submit their initial applications to participate in the competition by 11:59 PM on Friday, February 8th via the competition website. Application instructions are also located on the website. TTT finalists will travel to Austin, Texas, to present at the annual meeting of the Institute of Transportation Engineers (ITE) in July 2019. 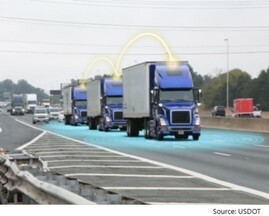 February 6, 3:00-4:00 PM ET – Many automated vehicle analysts agree that truck platooning will have a great impact on the public in the near future. 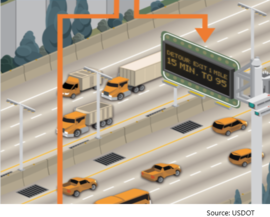 On-road trucking automation will allow safer and more efficient transport of goods across the long distances that have traditionally taken a toll on human drivers. Participants of this webinar will join AUSVI and industry experts for a discussion of truck platooning use cases and the challenges the industry is meeting. Representatives of companies developing and implementing automated truck platoons will provide an update and describe the economic potential of their work. Transportation Systems Management & Operations – TSMO, What Is That Thing Anyway? January 30, 1:30-2:30 PM ET – You may be familiar with the term TSMO but wondered, "Is TSMO all that different from ITS of Traffic Operations?" 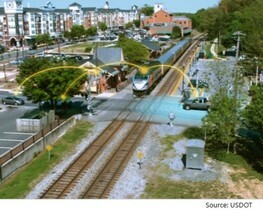 or "How do Connected Vehicles and Travel Demand Management fit into TSMO?" 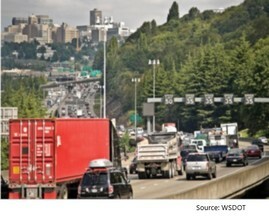 This webinar aims to provide an overview of WSDOT's efforts to develop and deploy transportation strategies that maximize the use of existing infrastructure to benefit the safety and mobility of our communities. 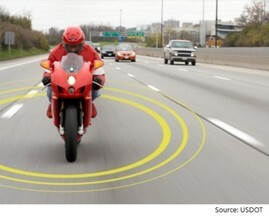 The USDOT recently published a report highlighting the relationship between motorcycles and ITS. While ITS technologies have predominately targeted automobiles and commercial vehicles, little has been done to specifically address motorcycles or motorcycle safety. This report reveals the trends and gaps in the current state of research on motorcycle safety and ITS and identifies the opportunities to advance ITS technology for motorcycle safety through recommended research and strategies.